Your essential guide to producing professional mixes. Learn to mix both sampled and live orchestral music with mixing guru Jake Jackson. We take you through every stage of the process from setting up your DAW for mixing and sweetening audio tracks, to EQ, compression and choice of reverb. Learn professional techniques that are just as effective in your home studio as at the world famous Air Studios in London where the course was filmed. First watch Jake mix the track, then load up the same multi-track orchestral recording in your own DAW and try to the techniques for yourself at home. Your orchestral mixing course comes with two more bonus tracks, one recorded with a 70-piece professional film orchestra, and the other a sampled hybrid trailer track. All the recordings come pre-loaded in Logic, Cubase, Digital Performer and Pro Tools and also as separate audio files. Watch over the shoulder of a film mixing legend at work. Four complete orchestral tracks for you to mix at home and comprehensive course text. Join our dedicated community forum to share your mixes. Well, what are you waiting for? Learn professional techniques that are just as effective in your home studio as at the world famous Air Studios, London. Buy as GiftHow do I purchase a course as a gift? How to setup your DAW for mixing. All about busses and track routing. Effective use of EQ and compression. Choosing and implementing the right reverb for your mix. 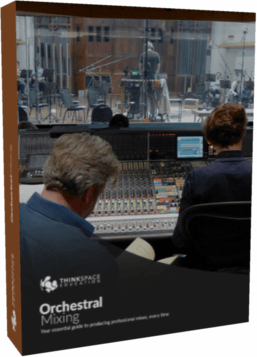 Learn to mix both live and sampled orchestral recordings. Help your film cues, trailer tracks and video game soundtracks reach their true potential. Jake Jackson joined one of London’s premier recording studios, AIR in 1998. He worked his way up from being a runner, and now, 17 years of world-class experience of orchestral recording and mixing later, he is one of the top mix engineers in the world. 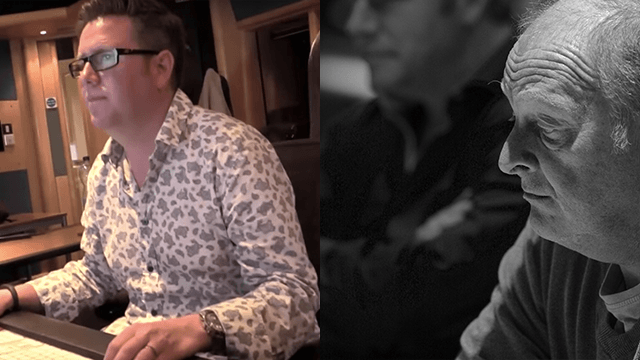 He has recorded and mixed at all of London’s top studios, including Abbey Road, British Grove, Angel, AIR-Edel, RAK, Strongroom and of course, the famous AIR Lyndhurst, encompassing all recording genres on projects that have been awarded many Soundtrack Awards, as well as Oscars, Baftas, Grammys, BRITS, & Golden Globes. In the world of sampling technology, you will probably have heard Jake’s name alongside the words Spitfire Audio. Meet Jake Jackson. He explains his approach and what you should be listening for when you first hear the piece you’re going to be mixing. The value of objectivity. Before you even get to mix your own sampled tracks, you need a well balanced orchestral template. In this section we walk you through how to setup your template so that mixing samples becomes a great deal easier. How to set up your project, busses and routing, compressors, EQ and reverb. There’s a lot to it and establishing a well thought out mixing template will give you the freedom to mix effectively and get the best out of your music. Watch listen and learn as Jake mixes a sampled orchestral track from scratch. Learn his workflow and the specific techniques he uses to bring the orchestral mockup to life. From first play through to final mix, a comprehensive guide to sampled mixing. Load up the track in your own DAW and follow along at home. Now learn a completely new set of skills as Jake walks you through a live orchestral mix. Working with a 70 piece film orchestral recording, he shows you the very different workflow and special considerations when mixing live orchestra. Once again, load up the track in your own DAW and follow along at home. 80 minute Q&A with Jake Jackson. Watch and listen as Jake answers questions from students and expands on many of the topics covered in the course. Two additional tracks for you to mix! Yet another full orchestral live recording with a 70 piece professional orchestra for you to try out your new skills. Also a hybrid orchestral trailer track for you to practice your sampled orchestral mixing. You don’t need a high powered computer to make the most of Orchestral Mixing. We’d recommend at least a duel core computer with 4GB of RAM. You’ll need the latest digital audio workstation (DAW) that you are able to mix in. We would recommend: Cubase 8, Logic Pro X, Pro Tools, Digital Performer 9, Reaper and Ableton Live. You’ll also need a collection of plugins; we highly recommend the complete set of Waves plugins available for purchase online. You don’t need to be able to read music to take the course this course, as long as you have a reasonable understanding of how instruments interact with each other within the orchestra you’re good to go! The video material totals at over 6 hours, however you can watch them in whatever sitting suits you best.